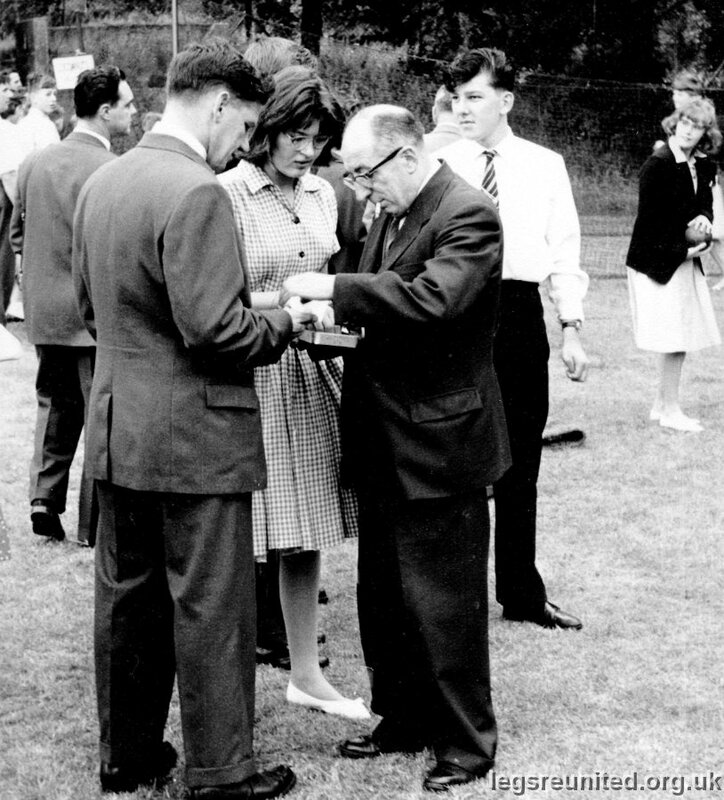 I think, taken at the Jubilee Fete in 1960. It shows from the left: ? (background facing away); ? (foreground facing away); Geraldine Barnard; Mr Alton (Music Master); John Spencer; Valerie Wood (right background). Photo and caption from John Spencer. I'm told that they are counting money collected in the tin! !